In 1854, the agrarian area known as Pulaski was bisected by the Virginia and Tennessee Railroad, which brought with it access to new markets, reduced isolation created by the New River, and heavy industry. The 1870s saw the restoration of an economy decimated by war and the incorporation of Dublin and Newbern. The Pulaski Agricultural and Mechanical Association, incorporated in 1872 to promote �enterprise, industry, and thrift among the citizens,� was forced to raise funds from the very Philadelphia capitalists who had laid claim to county mineral lands. 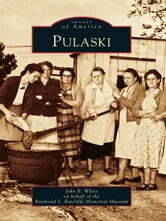 By 1886, Pulaski City, a classic boomtown, became a microcosm of industrialization in the Central Appalachians. The change created a struggle between the land�s agrarian past and industrialized future. 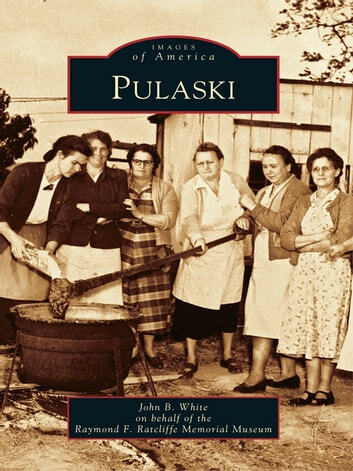 Images of America: Pulaski provides glimpses into the rich history of this land. This collection of nearly 200 photographs helps tell the story of those owners of land and industry, those who labored for self-sufficiency, and those who sought to give their children a better life.